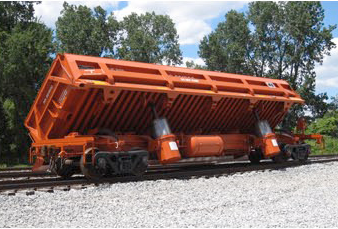 We offer meticulous engineering to exceed our customers rigorous requirements, our Air Side Dump Car’s unique features offer the quality and specialized tasking that our customers come to expect. 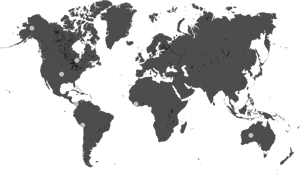 At JK-CO we have over 100 years of in house experience building Heavy Duty Flat Cars and Depressed Center Flat Cars. 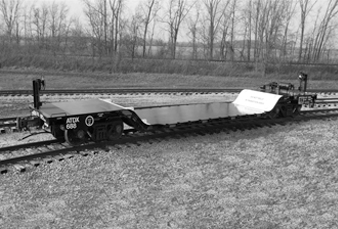 We are able to engineer, design and build heavy duty or depressed center flat cars to meet customer specifications. 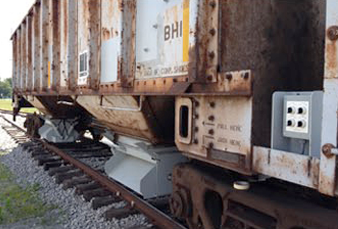 The JK-CO Engineered Automated Ballast car utilizes an electric over hydraulic power system to operate the ballast gates.